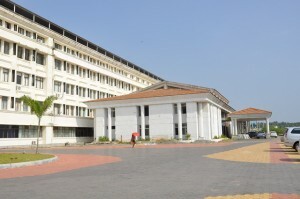 Travancore Medical College Hospital, functioning in Kollam Medi City is a unit under the Quilon Medical trust. TMCH is ISO 9001: 2008 certified and spread over 98 acres of land. The hospital is facilitated with 850 bedded and is a multi-specialty hospital equipped with state-of-the-art equipment providing end-to-end treatment in the field of almost all branches of Medicine. The Medical College is provided with a most advanced level for all super-specialty units and colleges for medical and nursing courses. The campus is half a kilometer away from NH-47 (Kollam-Thiruvananthapuram portion). Kollam Medicity stands as the nerve center in medical field, located in midst of Kollam-Kerala with a lovely ambiance apart from the crowded city life. The best approach to patients with the best modern medical facilities at reasonable rate highlighted the hospital since its establishment in 2009. Our focus on professional excellence and community engagement draws an increasing number of patients, bright students and technicians to our campus.Travancore Medical College is a gang up of a diverse team of doctors, nursing staff, allied health professionals, teachers, researchers and administrators, from highly experienced to the young and enthusiastic, comprising of the finest healthcare professionals in the region. It is our belief that access to better and quality healthcare can deliver outstanding benefits to all stakeholders in the larger community we serve. So we provide a personalized patient-centered treatment uplifting high ethical standards while tearing new grounds in the field of healthcare and medicine. The 24/7 personalized support and services made our patients to a quick better recovery and made the best part of doctor’s to refer Kollam Medicity for majority of the complicated cases. The College is better known for the most prominent and reputable emergency medical centers in South Kerala. The high-quality service in personalized treatment for the whole time co-operation helps you in every aspects of health issues and thus we are the first one to approach for premier medical facilities in any sort of emergency, trauma, critical care and ambulatory care. We are credited in numerous path for breaking achievements in the medical field, which is indeed the result of our undeterred pursuit of excellence in healthcare. We work for the humanity across the world offering the best prevailing treatment and medical solutions for even the most complex health problems with a personalized attention to each patient. 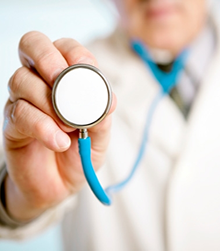 Our team of internationally acclaimed doctors and healthcare specialists give hope to millions across the world.